Ready, set, go! Smart2Go project left the starting blocks! 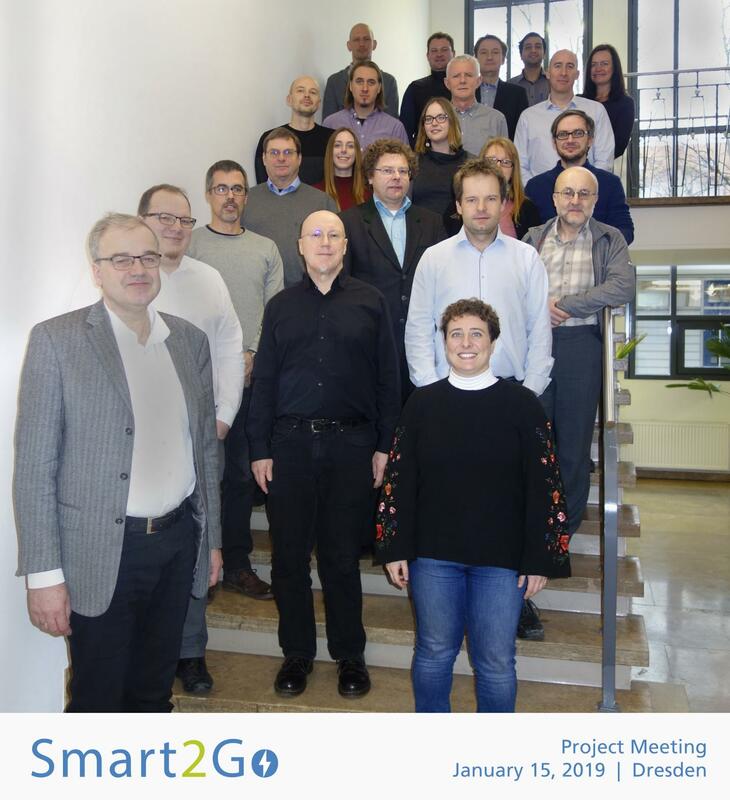 The Smart2Go project, officially started on 1st January 2019, organized its first meeting on 14-15 January 2019 in Dresden (Germany) at the Fraunhofer FEP Institute. Smart2Go is a project funded by the European Union’s Horizon 2020 research and innovation programme aiming at the development of an autonomous energy-supply platform. Based on the results of the project it will be possible to use a wearable without caring about recharging over its entire lifetime. More information about the project can be found at www.smart2go-project.eu (full version available in April 2019). During the meeting, 9 EU innovation performers (researchers and companies) involved in flexible electronics and energy scavenging and storage and 2 industries with very challenging product use cases discussed the work plan for the development of materials and components to be integrated in the energy storage and harvesting system. External experts in the field of standards for printed electronics, flexible electronics based products and R2R coating, printing and laminating processes also participated to the meeting. Smart2Go project has a duration of 36 months, please, stay updated about the upcoming project results!